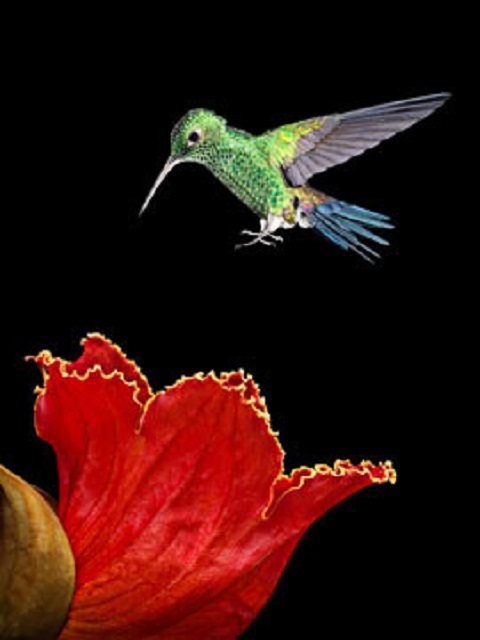 Cindy Walpole and Chuck Fritsch have been photographing hummingbirds in Costa Rica since 2009. 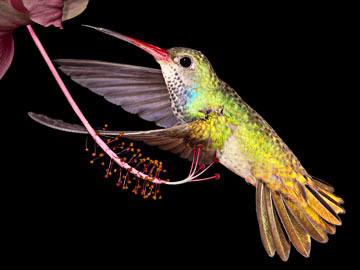 Their photography based art is based on accurate depictions of the hummingbirds taken in the wild. 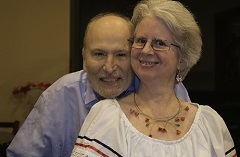 Artistic license has been taken with the backgrounds and supporting elements in order to maximize the artistic impact. These images show details and colors of the hummingbirds not visible to the naked eye. They present nature in a way that is both truly realistic and imaginary at the same time. Photographing hummingbirds presents interesting challenges. Their wings can beat up to 90 beats per second and their vivid colors come from iridescence rather than pigment. Just like the iridescence of oil on water, the color seen is dependent on the angle of the light source. At any one instant a small fraction of the total bird shows its true color. These obstacles are overcome by luring the hummingbirds into a small, shaded outdoor studio with sugar water and then illuminating them with low powered strobe lights from 14 different angles. 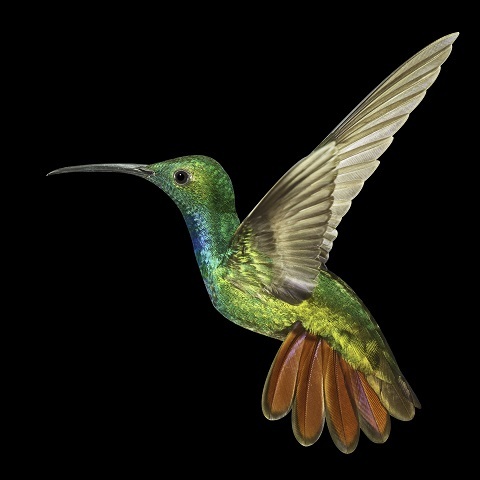 A flash duration of 1/15,000 of a second produces exceptionally sharp images, while the light from 14 different angles reveals the colors of the entire bird. The camera captures an image that is real but impossible to see in the field. • Please email us for custom orders.